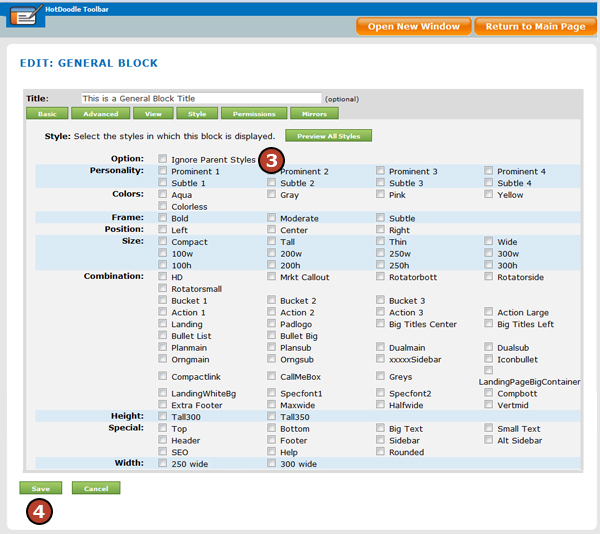 The Style tab located in all blocks offers options to style a single block. 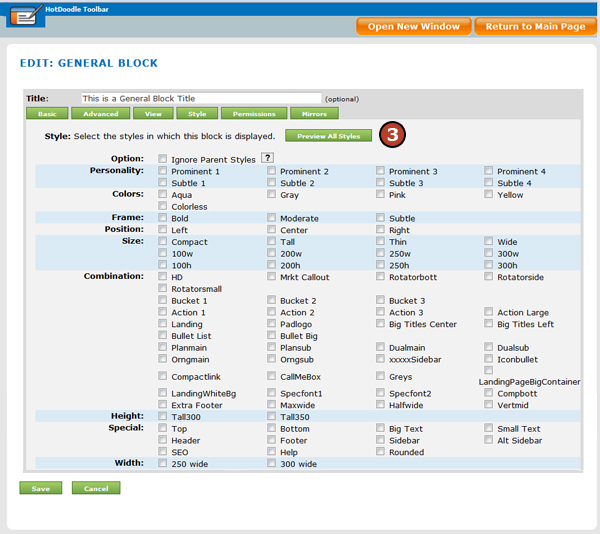 These options include borders, background color, and block size. 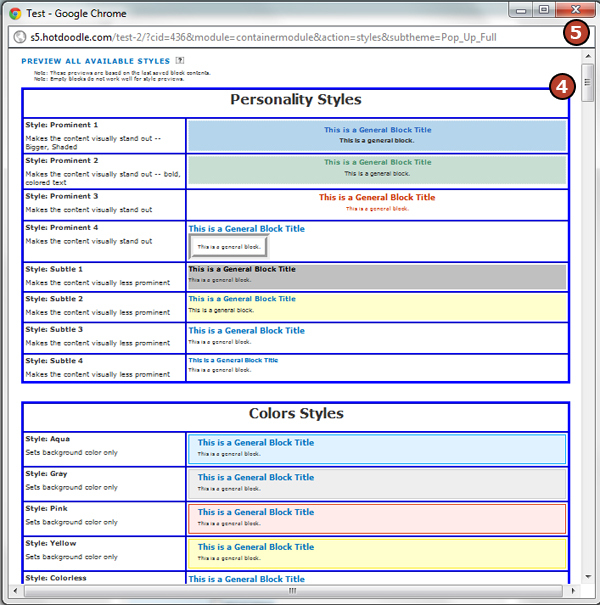 Styles that coordinate with the website's theme have been created and are available to select under the Style tab in each block. 1. Click on the button above the block to edit. 3. Click on the "Preview All Styles" button. 4. Click and Drag the Scroll Bar to view all the styles. 5. Click the red "X" to close the Styles Preview window. 6. 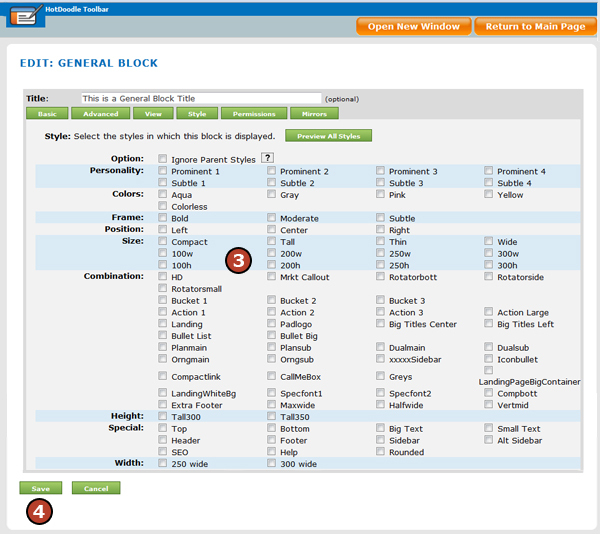 Proceed to Step 3 below, to select a Style to apply to the block. 3. Click to add a check mark in the box next to the style(s) to apply to the block. 1. Click on the button above the block you want to edit. 3. Click to add a check mark in the box to the left of "Ignore Parent Styles."